I think you can tell by the name of this festival it is in Japan, in none other than the beautiful city of Nara. This celebration goes back to the 1700s and today, you will still see the participation of the local Buddhist monks, making this all the more impressive. 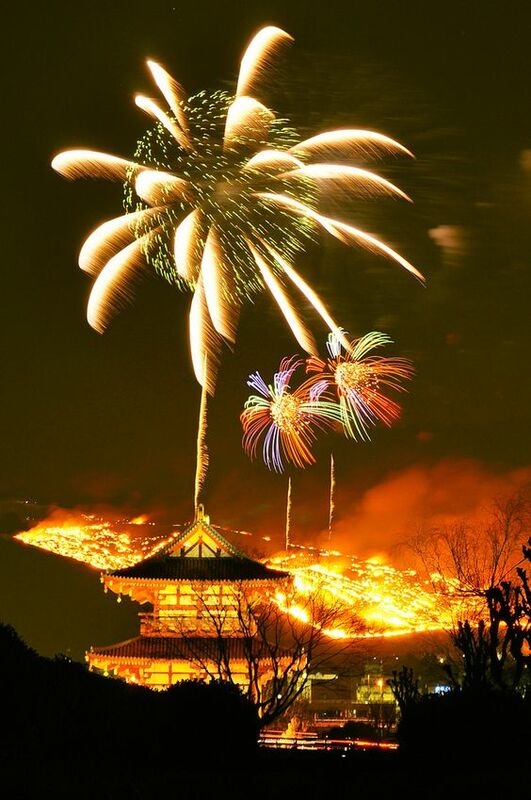 With the beautiful and magical backdrop of Mount Wakakusa, this festival is sure to be unique and beautiful.